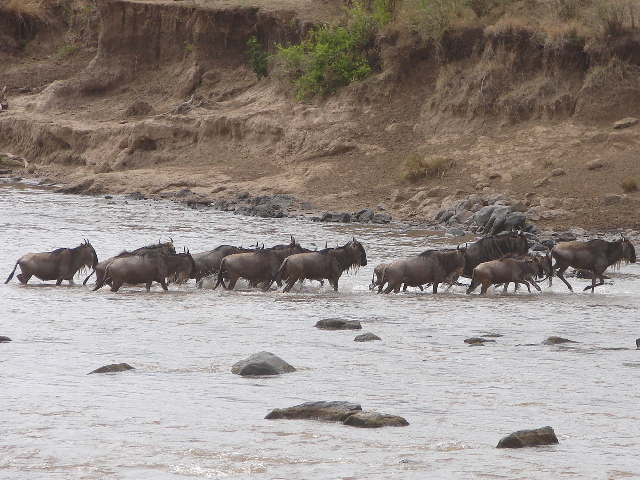 We saw the wildebeest trek across the plain, then hesitate and bunch up as they reached the river. Finally one would start across, and the rest would follow. But once as we watched a large wildebeest went first, and was taken by a crocodile. It struggled, trying to get back to the bank, but the crocodile dragged it under and drowned it. The rest of the wildebest retreated and tried another crossing point.